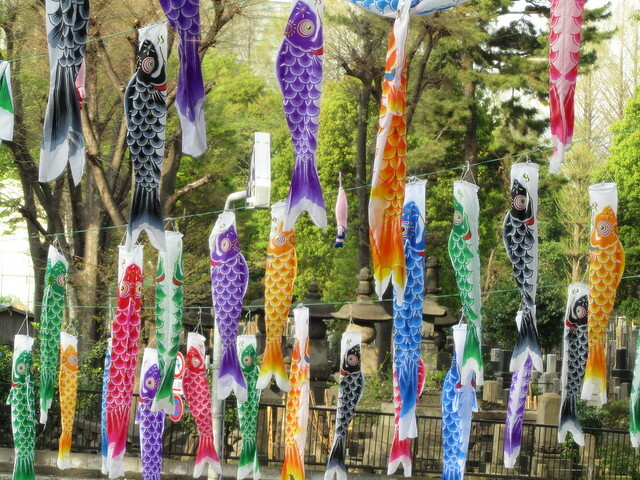 It’s one of the best times of year in Japan at the moment: Golden Week. Golden Week (ゴールデンウィーク) is a collection of holidays that happen to fall very close together, causing one of the three main holiday periods in Japan (the other two being Obon (お盆) in August and Oshogatsu (お正月), which is New Year). 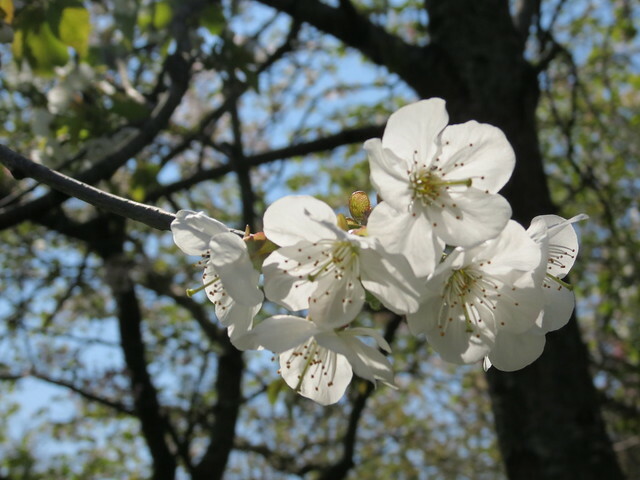 The holidays are Showa Day (昭和の日) on 29th April, Constitution Memorial Day (憲法記念日) on 3rd May, Greenery Day (みどりの日) on 4th May and Children’s Day (こどもの日) on 5th May. As luck would have it, I’ve ended up with my own Golden Week in England this year. I moved to Bristol last Friday, and I don’t start my new job until Tuesday, so I’ve had a nice bit of time to relax, unpack, and explore my new city. Always on the look out for Japanese things in the UK, I decided to spend some time exploring the ‘world foods’ aisle in my local supermarket. In London I was quite lucky with my local supermarkets, and even had a small Japanese supermarket near my flat, but I have to admit I wasn’t holding out much hope for my local Asda in Bristol. However, I was pleasantly surprised! Their selection of Asian foods was quite interesting and, although I found more Korean food than Japanese food, I was quite pleased with what was on offer, and the prices. 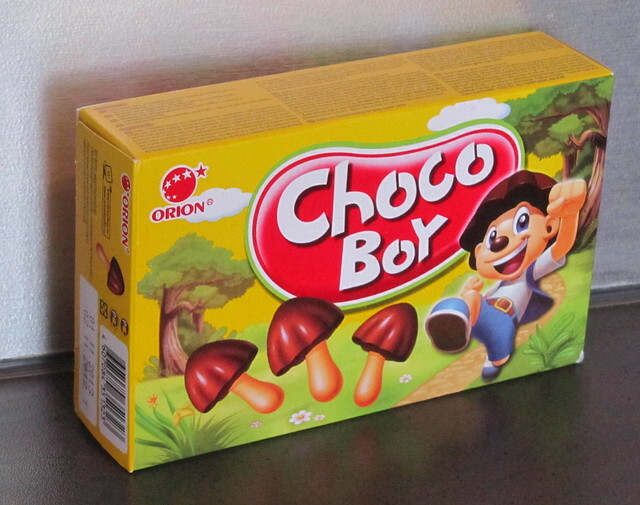 Choco Boy are manufactured by Orion Confectionery and Kancho are manufactured by Lotte Confectionery which are both actually South Korean companies, but sweets like this are very popular in Japan and Lotte products in particular can be found easily in convenience stores in Japan. Asda was also selling Hello Panda by Meiji Seika, which is a Japanese company. 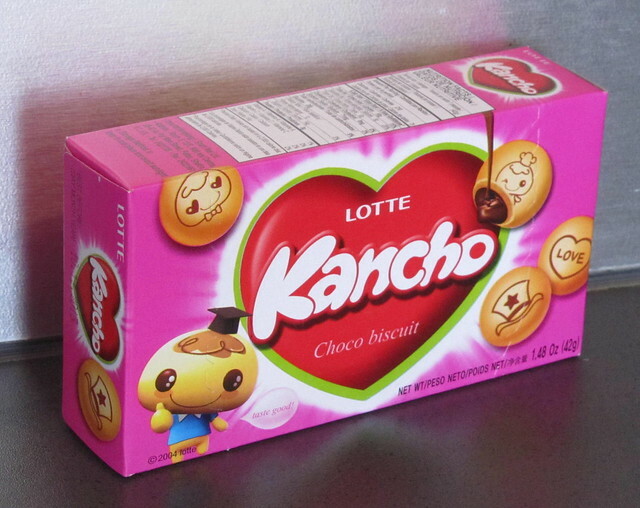 All of these sweet snacks were very reasonably priced, and seemed to be imported from Korea or Hong Kong. As well as sweets, Asda sells a good selection of savoury snacks such as shrimp crisps and wasabi peas. 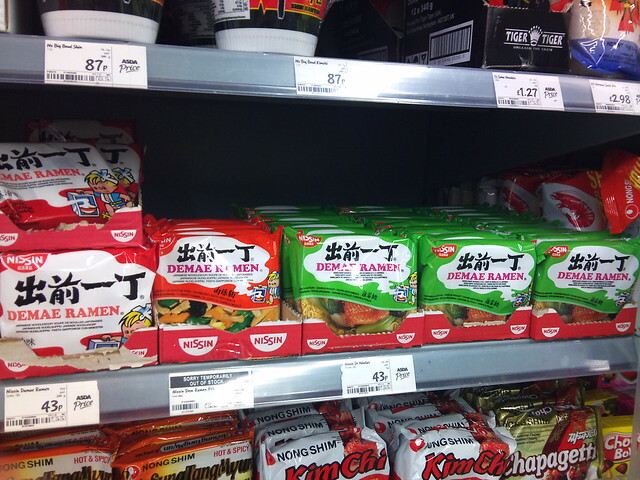 They also had a good selection of Kikkoman and Yutaka products. I’ll certainly be able to get basics such as noodles, soy sauce and instant miso soup there, plus a few treats. Enjoying my week off, I also had a wander along North Street in Bedminster. I’d heard they had a good range of shops, and was pleased to find a shop called Southville Deli which had a nice little selection of Japanese and other Asian food. They sold brands such as Clearspring, King Soba, Oh So Miso (from Source Foods – Welsh organic miso makers with a few things to say about organic food, judging by a brief look at their website) and Terrasana (which appears to be a Dutch company that makes Japanese food and other health foods). I didn’t buy anything this time, but I’m sure I’ll be going back there! 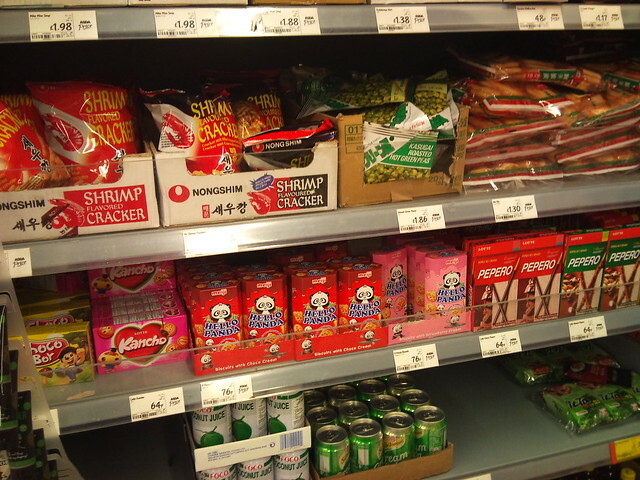 As well as the shops I’ve mentioned, Bristol has a few Chinese/Asian supermarkets, which I’ve yet to check out. As far as I can tell, the main ones are: Kin Yip Hon (BS1 6JJ), Wah Yan Hong (BS1 5DY), and Wai Yee Hong (BS5 6XX). I’m looking forward to exploring them when I next need some ingredients! But my Golden Week hasn’t all been about shopping. 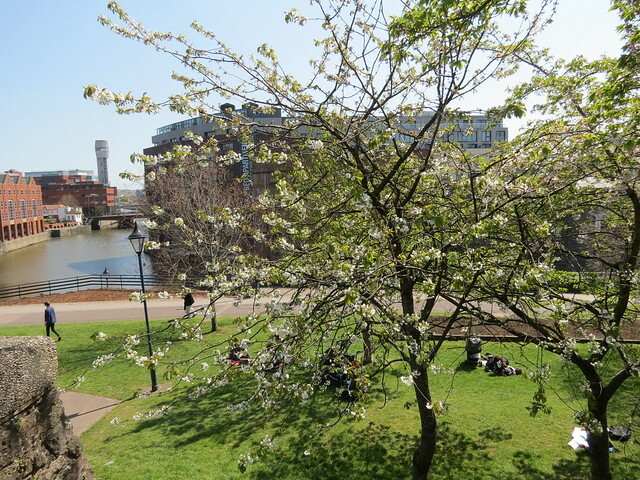 It was a beautiful sunny day yesterday and I was excited to attend my first hanami (花見) (cherry blossom viewing party) in Castle Park in Bristol with my new colleagues. It was a really fun evening, and I think I’m going to have a great time living here in Bristol and working with like-minded people. 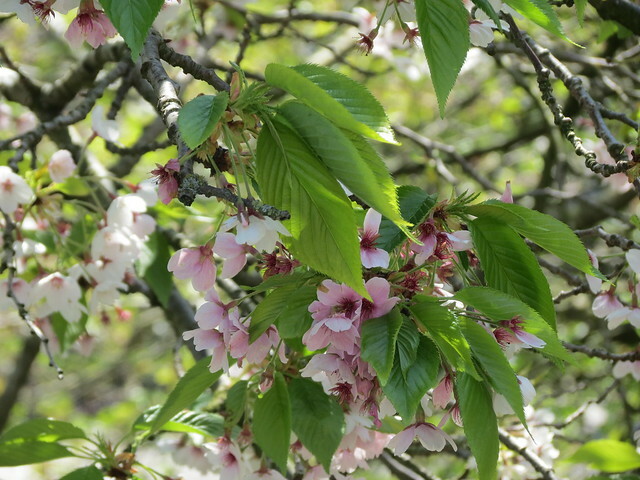 The cherry blossom in the park was beautiful too! 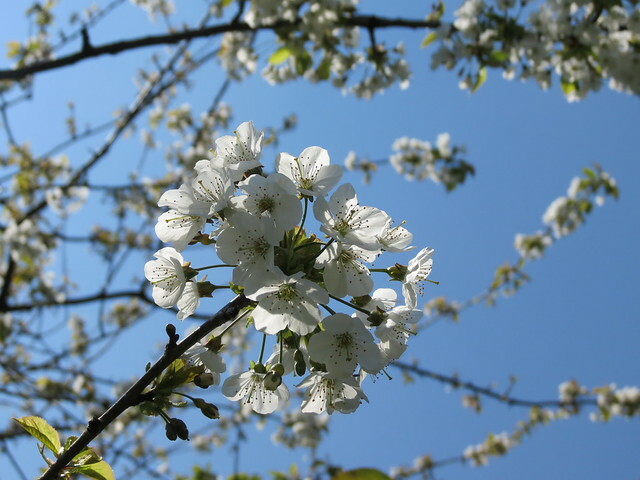 I don’t know much about flowers, but I think all the pictures above are different types of cherry blossom. I particularly liked the white ones – very pretty. I’ll be keeping an eye out for more Japanese things in Bristol over the next few days of my Golden Week, and am particularly looking forward to finding some okonomiyaki (お好み焼き) at ASIA POP!‘s stall at the StrEAT food market in Quakers Friars, Cabot Circus, on Friday night. Even though I can make it myself, there’s nothing like eating freshly cooked okonomiyaki from a street stall, and ASIA POP! say they are going to be serving Gouda cheese okonomiyaki, which sounds interesting (and bacon ones for you meat eaters out there). If you’re interested in my non-Japanese sightings (including street art and views of Bristol), please visit Picturing England. What do you mean ‘Kancho is sometimes performed on unsuspecting teachers’? It’s guaranteed! England has improved a lot over the last few years. Before I went to Japan (2008) I don’t think there was half as much stuff available.